The Pittsburgh Penguins recently celebrated their 25th Stanley Cup anniversary with one noticeable absence – Jaromir Jagr. He had a good excuse though. The Pittsburgh Penguins celebrated their 50th anniversary this past Saturday ahead of their home game against the Detroit Red Wings. A big part of the festivities was the celebration of their first two Stanley Cup championships – including a reunion of the Players who made up those memorable championship teams. Nearly everyone from the 1991 and 1992 teams was there, although there was one notable player who was unable to attend. While he wasn’t the only former Peguins player to miss the event, Jaromir Jagr is most definitely the only one who missed it because he’s still playing in the NHL. The 44-year-old (but ageless) Jagr, who spent the first 11 seasons of his career in Pittsburgh, had a “prior commitment” in Ottawa with his current team, the Florida Panthers. Dougie Hamilton is relishing the opportunity to play with Jaromir Jagr again after the 45-year-old forward and five-time NHL scoring champion recently inked a one-year deal with Calgary. 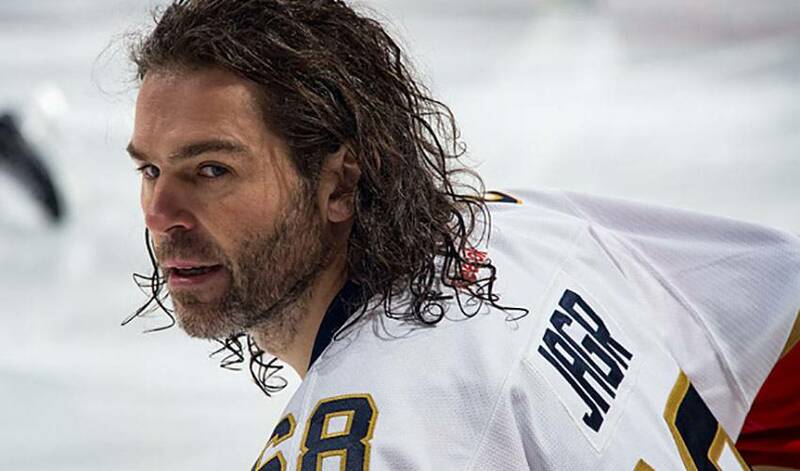 With the 2014 Sochi Olympic hockey tournament in full-swing, Jaromir Jagr is showing that he is still one of the top players in the world.